YOKOHAMA - The Phoenix are back on the field. 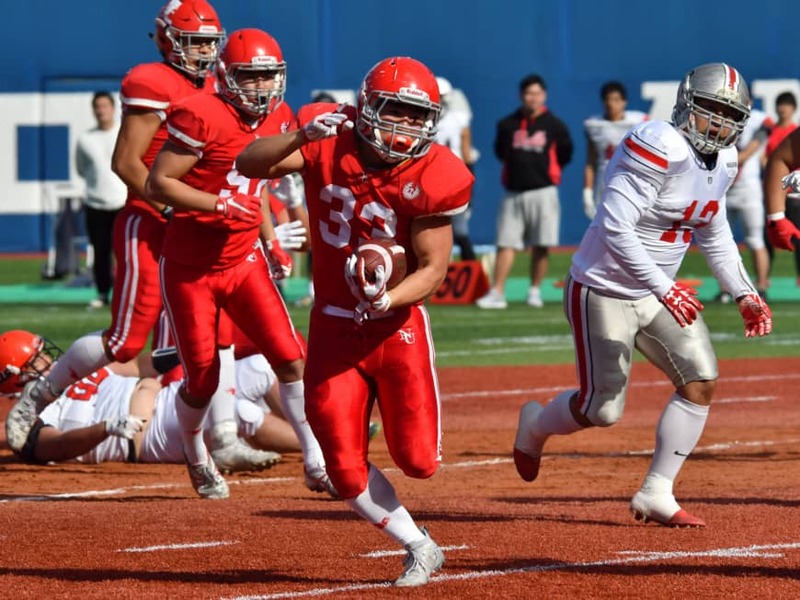 The Nihon University football team, which has been suspended by the Kantoh Collegiate Football Association for the 2018 season after the illegal tackle incident on May 6, had an exhibition game against a combined X League team on Saturday at Yokohama Stadium. Despite a six-month absence, the Phoenix dominated in a 51-6 rout of the X League side, a mixed team of Fujitsu Xerox, Bulls Football Club and Meiji Yasuda, all of which have already finished the regular season. It was the first game for the Phoenix since May 12 because scheduled exhibition games in the spring were canceled after the tackle incident became a nation-wide scandal. The game was set up with the cooperation of the X League. The X2, subdivision of the X League, had scheduled a game on Saturday at Yokohama Stadium and allowed Nihon University to use the stadium before the X2 regular-season game. The Phoenix are banned from KCFA official games, but are not prohibited from playing exhibitions. 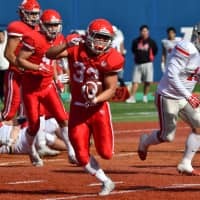 Taisuke Miyagawa, who made the illegal tackle on Kwansei Gakuin University quarterback Kosei Okuno a few seconds after he threw an incomplete pass on May 6, was seen practicing before the game, but did not play. “It’s been only a month since Miyagawa returned to the team, so he’s not in football shape yet,” Hashizume said. The Phoenix players, including Miyagawa, were not available to the media. According to a source, Miyagawa is likely to play in the Phoenix’s exhibition game against the Asahi Beer Silver Star at Fujitsu Stadium Kawasaki on Nov. 24. There was a report last week that Uchida will not be charged for allegedly ordering Miyagawa to make the illegal tackle. Uchida has filed a lawsuit against Nihon University, asking his firing to be invalidated. According to Hashizume, the Phoenix will have a few more games against X League teams or collegiate games this year.